Creating profiles on review sites such as Yelp, Google and Facebook can open a business up to feedback – both positive and negative. This feedback can have a direct impact on a company’s online reputation, which has proven to influence customer purchase decisions. But it also creates a unique opportunity that a business can take advantage of, in the form of having a direct voice in the customer’s reaction and response, which can be used in a number of ways. According to Search Engine Land, 92% of consumers read online reviews for local businesses and 80% of those consumers trust online reviews as much as a personal recommendation. When a business receives (and responds to) this feedback, they can utilize it beyond just review sites. One way to utilize feedback from reviews is by turning them into customer testimonials, which can be featured on a business’ website. Testimonials give business owners the ability to share credible and unbiased recommendations for their business, right where consumers are looking for information about it—on their website. Testimonials build trust. Sharing direct commentary from a customer’s positive experience with a business gives additional credibility to the message. Testimonials aren’t selling anything. Testimonials share experiences and unbiased accounts of actual customer experiences without the typical sales component of company-created marketing messages. All small businesses should start to take advantage of the positive reviews and feedback they get online by sharing them as testimonials. A customer’s passion for a business and the services they provide can drive more folks to it, to create the same passion over and over. 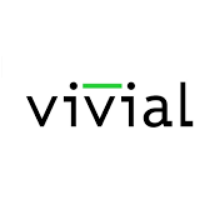 And by partnering with Vivial, you can offer your small business customers an easy-to-use solution to help them not just respond to, but utilize their feedback to its fullest. Vivial makes it easy for business owners to check, read and respond to online reviews from our all-in-one Marketing Platform.